Two Tennessee men who illegally excavated Civil War artifacts from the Shiloh National Military Park and Fort McCook have been sentenced to 30 months in federal prison. In addition to the 30-month prison sentence, Fagin was ordered to pay $22,463 in restitution to the Tennessee Valley Authority (TVA) and the National Park Service to cover the cost of restoration and repair to the sites. Tate was ordered to pay $21,619.59 in restitution to the TVA. Upon their release from prison, Fagin and Tate will each serve a one year term of supervised release. Fagin and Tate pleaded guilty in February to violating the Archaeological Resource Protection Act, with the violations taking place in eastern and western Tennessee and northern Alabama. Prosecutors say that from September 2007 to July 2011, Fagin, Tate and others excavated Civil War-era artifacts from the bottom of Fort McCook, also known as Battle Creek, which is located on TVA property. Fagin would use scuba diving equipment, a pontoon boat and an underwater metal detector to locate the artifacts. Specifically, Fagin, Tate and others recovered Civil War Hotchkiss shells, which are pieces of artillery used during the Civil War. Fagin and Tate did not have permits as required under the ARPA nor did they have authority from TVA or any other entity to excavate artifacts from Battle Creek. Court records state Fagin operated a combined bail bond company and artifact company called “Historical Resurrections” (located in Jasper, Tenn.) and was known to process, clean and sell archaeological resources. Fagin generated his own authentication reports and sold the items on eBay. Fagin and Tate excavated Civil War era U-rails from public lands in Bridgeport, Ala., in August 2009. The next year, the two men made a counterfeit “Sherman Bow-Tie” from the excavated Urails and sold it to an investor for the purpose of placing it in the Southern Railroad Museum in Kennesaw, Ga. Prosecutors say that in August 2010, Fagin also excavated Civil War-era artifacts from the Shiloh National Military Park, including a .57 caliber three-ring rifle bullet; five fired three-ring rifle bullets and Schenkl artillery shell fragments. 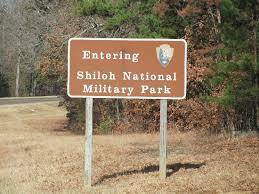 Fagin had no permit or authorization from the National Park Service to excavate artifacts from Shiloh National Military Park, court records state. Cases against three other men involved in the conspiracy have been previously resolved. Earlier this month, Michael Tarpley was sentenced to two years probation and ordered to pay $12,851 in restitution; William Shirley also received two years probation and $12,821 in restitution. Charges against Victor Holmes were dismissed in October 2014.